Halloween isn't a huge holiday in Australia but it is certainly growing. People tend to improvise a bit or a lot on the costume front, and to be honest we haven't really thought much about one at all. We do however have this bat puppet! And we are hoping he will charm the neighbours into giving us loads of chocolate. This is probably easier than it looks. It took me about 10 minutes but would take a child around an hour (with a bit of adult help). The only thing that you may not have at home is a ruler with two holes in it! We have a drill so made a hole in ours with that, but if you don’t have a drill you could just hold all the strings or tie them to a stick. The bat should still be able to fly! Stick glue and or hot glue. 1. Draw a wing on a piece of paper and cut it out. Ours was about 30 cm from end to end. 2. 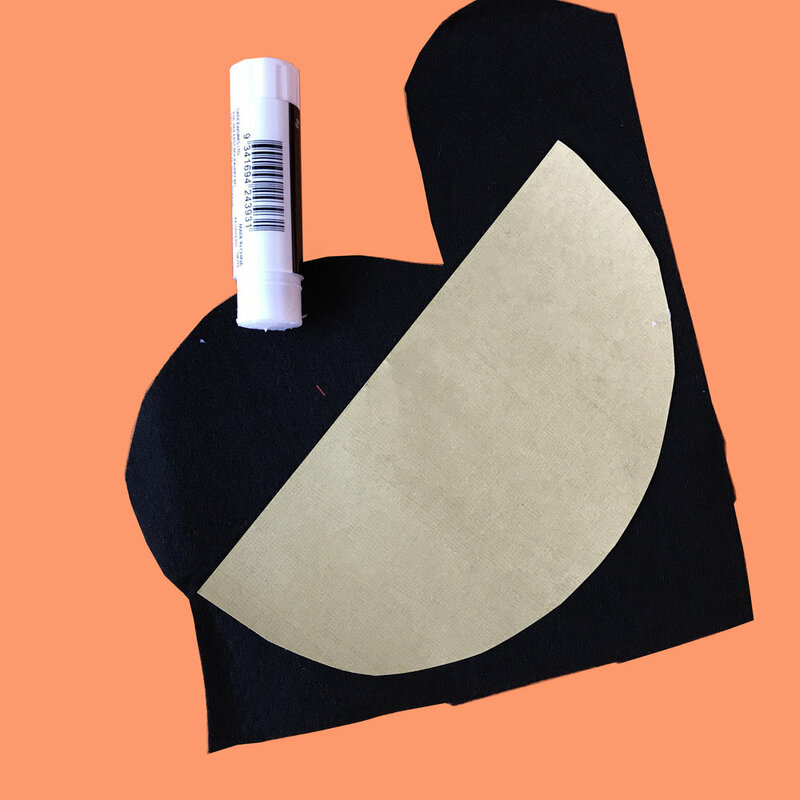 Fold your felt in half and using your template, cut out the wings. 3. Cut a semi circle of card and glue it onto a scrap of felt. 4. Cut it out and roll it into a cone, making sure that the diameter of the open end of the cone fits into the end of your big cardboard cone (the body piece). Glue it together where it joins. I sort of folded the tip down to make a softer nose but this is optional. 5. Cut out some ears and glue them on. Stick on some googly eyes. 6. Using a sharp knife, make a slit in both sides of your cone. 7. Wedge your wings into the slits. There should be no need to glue but you may wish to use a knife to feed them into the slits. 8. Glue in the bat head and cover the rest of the cone with felt. You will need to do this in pieces. If this is a pain you could also just paint the body black. 9. (Hot) Glue on a string to the body and another to each of the wings. Make these strings pretty long as you will cut them to size when you attach them to the ruler. I added a small triangle of felt on top of my strings to tidy them up but this is optional. 10. Drill a hole in either end of your ruler. If you don't have a drill you could skip this step and just hold the strings to operate or just tie the strings to a stick. 11. Tie the string attached to the bat body to the middle of the ruler. This string should be about 25cm. Thread the strings attached to the wings through the holes in the ruler. These should be about 35-40 cm long. Tie a big bead to each string to stop the strings falling back through the holes. To operate the puppet, hold the ruler in the middle with the left hand and take both the lest and the right strings in your right hand. Raise and lower the strings through the holes to make the wings flap!